“Born 1890, the third son of William and Rebecca Johnston. In 1895 when he was five, his father died. He went to Arundel School in 1896. In 1899 when he was nine, his mother remarried, John Alexander Finlayson. In 1906 when he was sixteen, his mother died, and she was buried, in Timaru cemetery. He worked mainly as a farmer worker around the Arundel district. In 1916 aged twenty six he went to Timaru with three mates, to enlist in the army. One of the group was turned down because of heart problems. He owned Waikari Station in Rangitata Gorge. 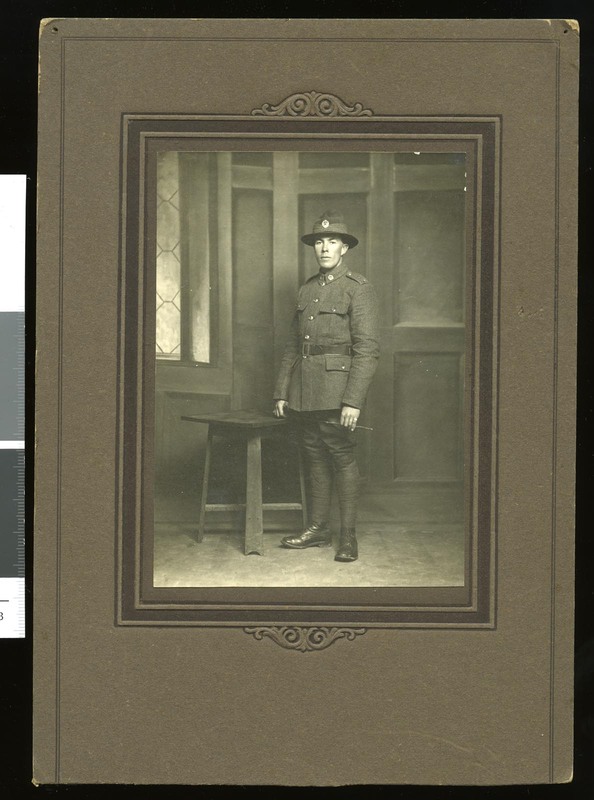 Charles served three years and forty one days in Western Europe as a Machine gunner, suffered head injuries, and was gassed. He was awarded the British War Medal, and the Victory Medal. He was discharged June 1919, aged twenty nine. The owner of Waikari Station gave the whole property and stock to the three mates returning from war. Charles and another sold their shares to a mate called Allan. Then property remained in the Allan family for generations. Charles bought land in Arundel and farmed it for twenty five years. He played violin and piano in a band at functions in the district. Charles never married. He discovered the local store keeper Bill Gaby, had been murdered, by an escaped prisoner. Charles died aged fifty four on the 8/1/1944, and was buried in Timaru cemetery. It was only recently discovered that Charles had no headstone. The Johnston family paid for a plaque, and this was unveiled, with many family attending. Charles eldest brother Robert (Bob) died 1967 aged 82. The middle brother James (Jim) died 1940 aged 53.